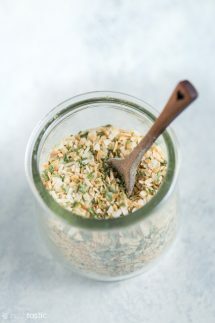 No need to purchase packets of onion soup mix ever again if you make my easy seasoning blend instead! 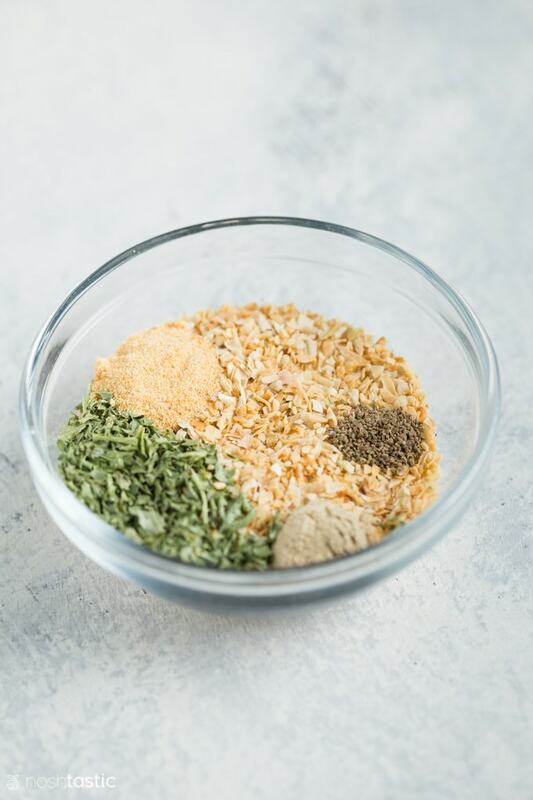 My onion soup blend is only made up of dried herbs and seasonings and contains no added sugars, starches or preservatives, and of course is gluten free. It’s also compliant with low carb, keto, paleo and whole30 diets so you’re all set if you’re following any of those diets too. 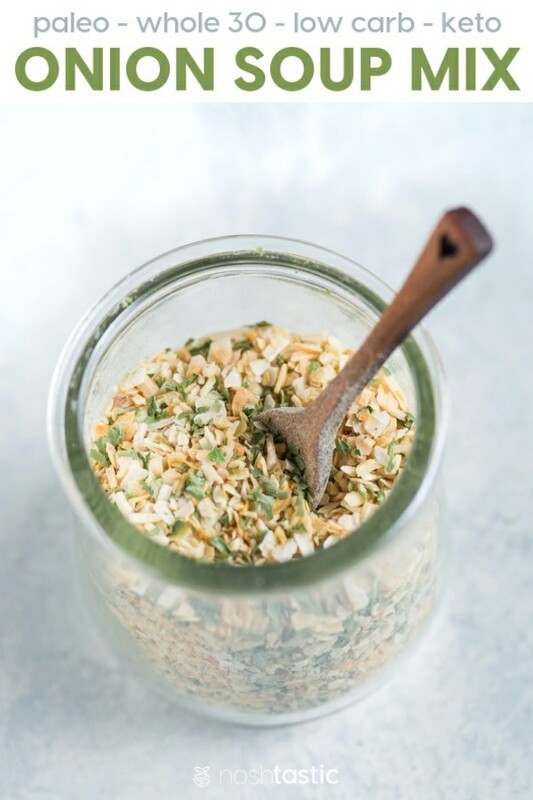 What’s in dried Onion Soup blend? 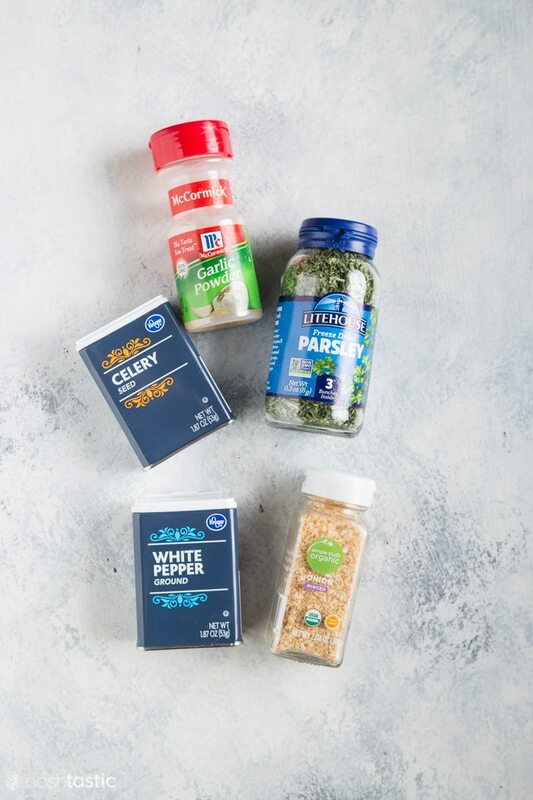 This dried onion soup mix contains dried onions flakes, garlic powder, parsley flakes, white pepper, and celery seeds. Some other recipes also contain sugar and bouillon but I’ve decided to omit them as I wanted this recipe to be naturally low carb and ensure it’s gluten free. PIN THIS RECIPE TO YOUR “CONDIMENTS” BOARD! Easy dried onion soup mix that you can keep in your pantry for months. Combine all the ingredients together and stir well. How do I use this? Do I add water? And if so, how much? you use it pretty much like you would use the Lipton Onion soup mix, it’s really just a seasoning blend. I have a post coming out next week for onion dip that will use it. I also like to add it to soups, stews, meatloafs and other things like that for a seasoning boost. There’s no salt in it so it won’t affect the flavor that way. Hi Teresa, I’m not 100% sure as I’ve not used liptons soup mix but I think it’s about 1/4th cup, which is more or less the amount you’ll get with this recipe.